This Week's Challenge: Bauhaus, Baby! Every designer needs to have a clear ethical stance toward the client projects that they’ll take on. Many designers would rather not help sell industrial-grade weaponry or promote industries that may not contribute a net-positive benefit for society. However, designers often don’t know their own boundaries with clarity until they’re offered what seems to be a plum project, only to realize as they dig into the client problem that the end result runs counter to their beliefs. The following challenge will help you better understand the slippery slope that all designers face when taking on a client problem that may not align with their personal politics. 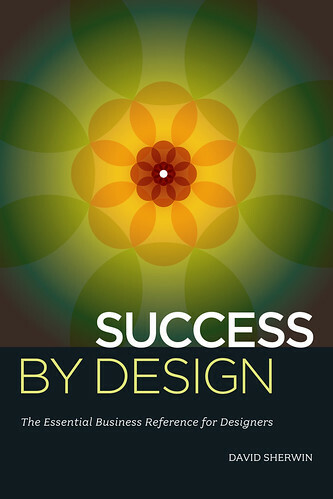 Two or more designers can fulfill it in 60 minutes. Part 1: Write down on a slip of paper three products that, for ethical or political considerations, you just can’t bring yourself to take on as a client. Trade lists with another designer. Choose one product from their list and sketch the most compelling, polished billboard design you can muster promoting that product. Part 2: You are now a key decision maker representing one of the products you would never take on as a client. The designer that created a billboard for your company must give a three-point presentation as to why their design will meet your product’s needs in the marketplace. You will be allowed to ask three questions regarding their work, press-conference style, in order to better understand the ethical stance they are taking with regard to said product. Then you must trade places with the other designer, and present your billboard concept to them—while they play-act being your client. If you'd like to take it further, when time is up, create a poster that you’ll keep in your studio that outlines your personal policies towards the kinds of work you’d like to do in the future—and the kind that you should always decline. The image shown above is from BusinessPundit.com's "13 Most Evil Vintage Ads in History." Want more challenges? The first 24 pages of Creative Workshop: 80 Challenges to Sharpen Your Design Skills are available free on Scribd. 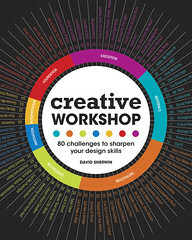 Or snag your copy of Creative Workshop from Amazon.com.